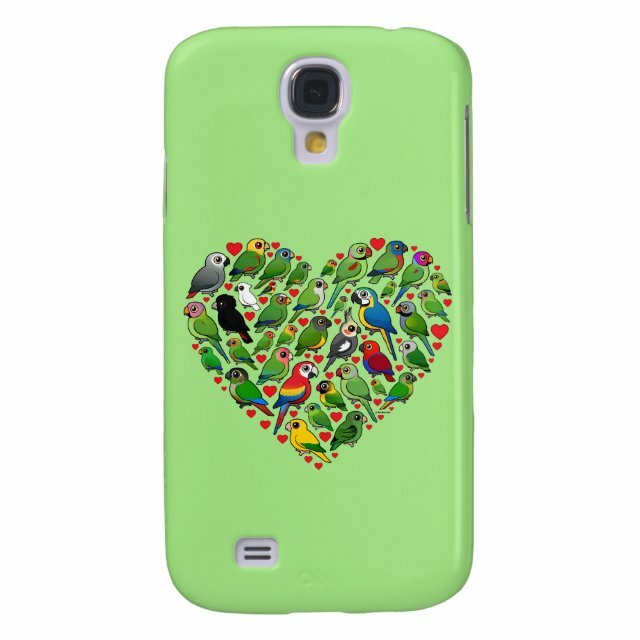 A huge crowd of our totally cute Birdorable parrots and parakeets are flocking together to make up this parrot heart! There are macaws, cockatiels, conures and cockatoos too! This is a great gift idea for anyone that loves parrots!! You can customize this gift! Move the heart around, change the background color or style, add text or images -- make it your own!